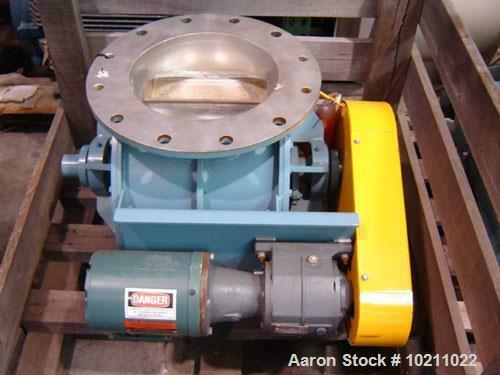 Used-12" diameter Young 12 HC stainless rotary valve with drive. Overall valve height is 22". 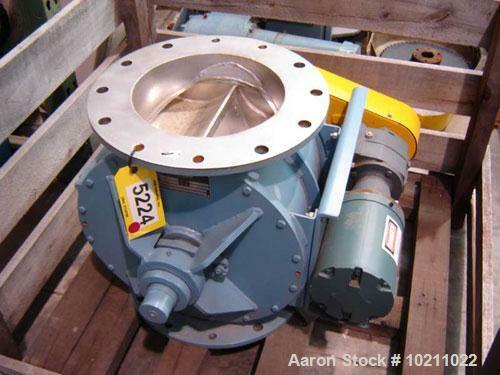 Manufactured by Young Industries. 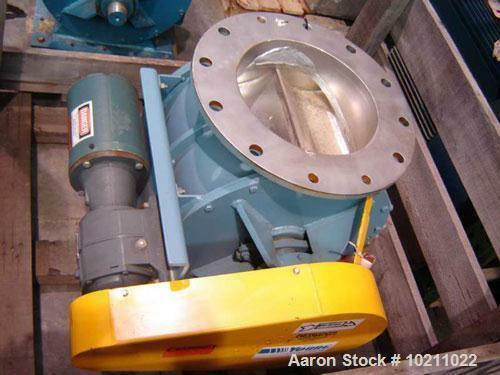 Rotor is shallow pocketed fixed tip closed end design. Size is 12N-HC, shop #14199-1. Unit has bolt on external housing inspection panel. Comes complete with drive including 1 hp, 208-230/460 volt, 1.15 SF, Reliance SXT Dutymaster AC motor. Gear reducer is U.S. Motors Series 2000, chain drive. Valve package is unused.